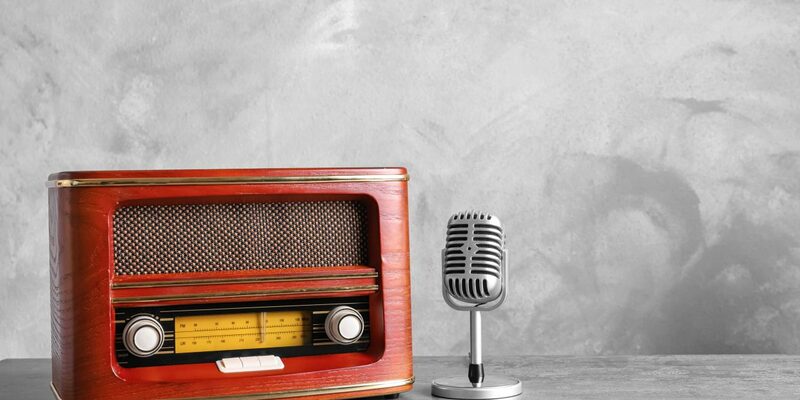 An aircheck session (where the radio station boss calls you into an office and plays back your show from that day – usually without warning) is often a dreaded experience for many on air hosts at radio stations. I had good airchecks (or snoop sessions) and I also had some very bad airchecks with previous bosses of mine when I was working in radio. One thing was for certain – I would always learn something about engaging and entertaining a listening audience. Here are the top 10 things that working in radio has taught me over the years. 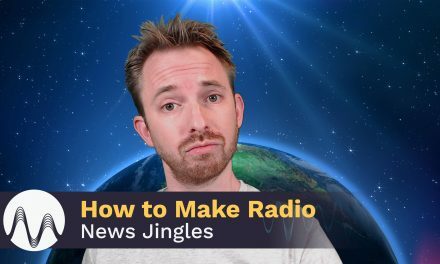 These are principles that you can easily apply to your own radio show, internet radio station and they can even be modified slightly and applied to podcasting. Listen to the podcast episode to hear myself and Izabela discuss them in detail. Don’t say “This is Mike Russell” on air, always introduce yourself on the radio like you would to a good friend or new contact at a cocktail party. “Hi, I’m Mike”, is a great starting point. Remember to keep in mind that you’re always talking to only one person so don’t use phrases like “hi listeners”, “hi everyone in radio land” or “hello podcast listeners”. It’s impersonal and disconnects you from your audience. Keep the flow of your radio show or podcast going don’t interrupt the listener experience by saying “we’ll be right back” or, even worse “see you after these words”. You won’t be seeing anyone (it’s radio) and announcing a set of commercials is a huge turn off. Link is a technical term in radio for the bit were the on air host speaks between the music. I was told from a very early stage in my presenting career to always keep each link down to only one thought. If you include more than that it’d likely the listener won’t remember anything you said and you don’t want that! When you pre-record radio station callers to go on air make sure you prepare and produce that caller. What I mean by this is get them to start by saying hello to you, the host, it’s easy to do this by answering the phone, “Hello Swan FM, you’re speaking to Mike” and in most cases the caller will respond “Hi Mike!” Then when you lead into the pre-recorded call on air you can say “Hi who’s calling Swan FM?” the caller responds, “Hi, Mike!” It sounds like they know you. Another trick is to ask the caller what they think of your show and the radio station and then cut you asking the question out of the call that goes out on air. Often you’ll get a response like “oh, I love the show and your radio station rocks!” Great social proof that listeners love your radio show (even if you did produce them to say it). Take calls on your internet radio station, website or podcast using Speakpipe – an awesome plugin that allows listeners to record a voicemail using their computer microphone. We use it at Music Radio Creative and you can leave us voice feedback to this episode by clicking here. Radio stations are always competing for airtime and I was always told by my former radio station bosses that you should never mention the competing radio stations in your area. It is possible to break this rule (and all the other radio rules in a very clever way) if you listen to Star FM in the North East of England, you’ll hear radio genius Robin Banks do this in a very clever way! I was even told at one radio station I worked at not to mention shows on the TV that evening as they compete with the evening show guy on the radio station! As much as on air announcers like to talk over records – often this sounds really good and fits the format of a radio station – there are some records you should never talk over. For instance Hotel California by the Eagles and Baker Street by Gerry Rafferty. The rule is you should respect the music. This applies to back announcing tracks and telling your listeners that you hate it. Many commercial radio stations carefully plan their radio station playlists and if you diss a song you’re potentially disrespecting one of your listener’s favourites. Izabela also raises the point that it is potentially illegal to talk over music on the radio – listen to the podcast from 19:38 to hear the discussion. If you are asking for listener interaction don’t say “you can find us on Facebook, follow us on Twitter, call us or send a postcard”. What will your listener remember? Nothing! 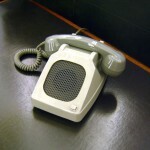 Give one clear and easy way for the listener to get in touch and be sure to repeat that method more than once. When cart machines used to be the way radio hosts would play radio jingles on air the host would walk into a studio with a whole pile of carts and play them as they wished. Now it is much more ordered that that and radio jingles are often scheduled right into the radio station playlists just like music tracks are. They will be assigned moods and tempos so that the jingles automatically fit the sound of the songs they’re playing in between. A general rule is that if you’re not talking a station identification should play. This is because some listeners may tune in for only 10 minutes and hear 3 songs with no talking. If there’s no radio station ID how are they going to remember what they were listening to? There’s always someone on after you (unless the radio station is closing down). Always talk about what’s coming up on other shows on the radio station to keep listeners listening longer. Write detailed show notes so that other presenters can forward promote your next show. The same applies to podcasters – talk about what’s coming up on your next episode. Those are the top ten tips I picked up from nearly two decades working in the radio industry. Is there a tip we haven’t mentioned that you’d like to add? Leave it in the comments to this episode. A great educating tool, easy to listen too. I will be passing this onto other presenters. Thanks Mike. I appreciate you passing the podcast on. Out of interest what is the name of the radio station you’r involved with? I’d love to know more! I am involved with Community radio Station sta-fm, Inverell, NSW, Australia. That NUMBER SIX! Yes, pin it to every studio wall: Respect the Music. It is so naff when a deejay tramples on the end of a track regardless of the content. Noticeably, the late shift niche presenters who truly love their music will let it finish before coming in. And as for Classic FM – well there’s a pause, about a millisecond. Gives the impression they are not actually there. Are they?? I couldn’t agree more Howard. The number of times I’ve heard an on air personality destroy a song are countless. Even worse than ruining an intro is cutting off a tune in it’s prime before it actually ends. Key takeaway – back time – make sure you have enough room left in the hour to play the track! There are some very useful tips here which got me thinking about how I and presenters at my station present. I would like your permission to pass this podcast on to them. Yes Neil, feel free to share it with anyone else you like. I’m grateful that you listen and would do that for Izabela and I. Thanks! Hi Izabela and Mike, great stuff! Can I add one (at a time or this time lol) to your list? RESPECT THE AUDIENCE… I think it should be the first, it sounds obvious but believe me, there are so many people all over the planet and those people really don’t care about the people who listen to them… so it’s not only a job, the DJ must be dedicated and know the audience, what they interested and want to hear and know, so what radio announcer’s, DJ’s, host, morning show stars they must respect the audience, it feels and they can hear if they don’t and nothing will be working if they don’t. 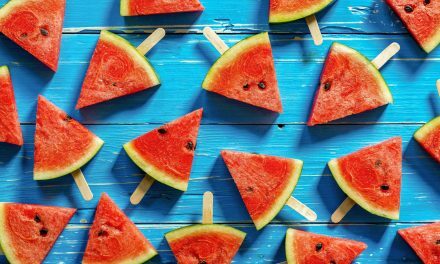 BE VISUAL, talk in a way when listeners can imagine and create an image, play with the theater of mind. TELL A STORY, which does not mean talk long or talk a lot, but talk in a way which paints a story, it’s much easier to understand if there is a story than the link is only with details and infos. You’re right and respect and know your audience should even be before point number one on the list. It’s a vital part of building that connection as radio is such a personal medium. Appreciate you sharing those tips. HaHa, Joe. Western England has a great local station Sunshine Radio. Hard to skirt round that word, even here. Simply amazing! I’d be interested to hear about more restrictions due to competition. Good point, don’t imitate the shows or styles of your competition. Thanks for sharing! During this podcast mention was made of the music being carefully selected for the presenter. And that the DJ had to play music they might not like to accommodate the widest audience possible. I think it is this that is killing radio, because any station serving any given demographic sounds the same under this business practice. My view is that when DJs have the freedom to play what they like, they can bring out their personality not just in what they say, but in what they play. It used to be that radio listeners tuned in to hear a particular DJ and their selection of music. DJs enjoyed huge followings as a result, and could not be interchanged with other presenters by station management so easily. The way commercial radio is right now, anyone can be a DJ. You just have to sit there and do as you are told (by the computer). Even though I pre-plan my Pleasuredome radio show, the sequence and selection of music aired changes as I make decisions to play or not play any given track as the show progresses. I think the show is all the better for this, as my feeling for what’s right are taken into account. Great point of view Steve – I like it – thanks for sharing! The radio bosses may beg to differ on the point of music being selected for the DJ. They would surely argue that each track if carefully selected and blended with the next to ensure listeners keep on listening to the music for as long as possible. I agree with you that a DJ with good musical knowledge and taste can put together a fantastic sounding show themselves. The issue with today’s tightly formatted radio is that not all DJs can truly select a good mix of music. It’s a skill collating great music tracks that people want to hear. Look at playlists on Spotify for instance. The NOW That’s What I Call Music, Playlists.net and Spotify playlists all have thousands of subscribers because the musical tracks are well chosen and blended together. Truly great playlists are hard to create. Well, what can I say Mike and Izabela! Many thanks for the name-check. When I sent my original message, I never expected you to do a radio related podcast in the very next edition in a million years, and very interesting it was too! I think judging by the amount of comments you have had so far in the space of just a few days, that it has gone down very well, so more radio/jingle/voiceover specific editions please! Other than the suggestions I have made already, can I make a few more e.g. how to do good links so you sound like a pro all the time, eliminating “ums” and “rs” and not getting tongue-tied. Another one off the back of one of your comments was “back timing” i.e. making sure your show flows without cutting songs short and sounding like you are rushing. As always Mike, your own radio experience is great source material here and puts a unique perspective on proceedings! We always do our best to listen to feedback and include it in the podcast. You can expect more topics like the ones you suggest, in fact, we have a really cool voice over talent on the next episode with a great story to tell. The week after we have an interview that DJs and dance music fans should like (we try to mix it up for you but stay on topic of great sounding audio). In relation to the other points you mention eliminating “umms” is something I believe comes with practice, practice, practice. When I started this podcast I noticed myself doing it all the time and wanting to edit them all out but I guess the most important thing is to be your natural self which is what I’m trying to do now by podcasting “live”. After sitting through a presenters meeting yesterday – Mike you are so on the ball with regards to the do and don’t of radio. A couple of tips I’m working with at the moment is teasing – which is all about what’s coming up. It’s about having a few hooks and adding interest and ‘value’ teases that the listener just doesn’t want to switch stations, get out of the car or do something else in case they miss out. I just wished more podcasters learnt from radio – it doesn’t take much to engage and entice the listener along for the journey but as you said, it’s about respecting the listener and their time. We shouldn’t just be filling dead air. Thanks for sharing your feedback on the episode. I couldn’t agree with you more on the power of teasing and keeping the listener engaged. It is so true that podcasters should consider teasing as much as possible. Just because someone listened to one podcast doesn’t mean they’ll listen to the next episode unless you give them a really compelling reason to do so. I look forward to hear more about your podcasting Scott. Share the details with me when you’re ready! As Steve Hart mentioned, making music selections to fit the audience works, to a point. As I use a cross of Creative Commons music, and then from unsigned artists, it’s not always easy to fit music together to Your mood. We ended up doing one weekly show of pop/rock, the next week country and always a hard rock/blues show. Do you feel this may confuse your listeners – like Geeze Louise, make up your mind! Interesting thought about mixing up music genres Mike. In my own personal opinion having different music genres on the same radio station can confuse the listener. Imagine a plumber fits a soda tap at your home that is designed to always dispense orange soda when you switch it on because it’s your favourite soda. You’d be pretty annoyed if one day you switched the tap on and lemon soda came out wouldn’t you? Focus on the music you love the best and build a show to be the best it can be around that one genre would be my advice. Armin van Buuren does this extremely well with his A State Of Trance radio show. It’d feel pretty strange if he started playing rock music wouldn’t it? So why not stretch the listener just occasionally? One classic blues number, or Billie Holiday, or Cajun, or whatever, will certainly cause some chart-lovers to wander off, and a micro-dip in ad revenue, but it might also inspire more daytime listeners to turn to radio as an EXPLORATORY and CREATIVE medium. There’s a dwindling future in just being a jukebox – they’ve got those in their pockets. This was a great edition of your podcast Izabela and Mike, with so many valuable tips. I like the way you are able to bring podcasts and radio so close together – highlighting both the similarities and the differences. I present a live music show on an Internet Radio station and your discussion of the challenges of interacting with the audience really resonated with me. Before, during and after the show I try to engage as much as possible with listeners through Twitter and we also have an active chatroom which some listeners will join during the show. It is of course important to be careful not to respond on air to comments without providing some context, as not everyone tuned in will be seeing all the chatroom and/or Twitter messages. 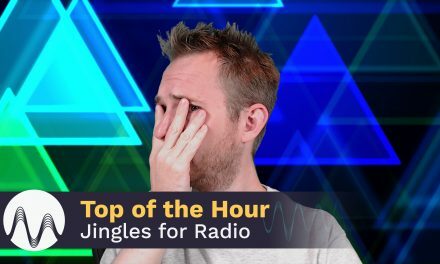 The point on appropriate use of jingles is well made and I hope I use them pretty much as you describe. Well used jingles certainly add to the professionalism of the show – at least I’ve had several people comment this way. I tend to use a jingle or voice link between each song to provide a smooth transition unless I’m deliberately mixing them together or perhaps where a song has a hard end. Thanks for the thoughts Richard. I agree, I think we could do a whole new episode on listener interaction (and how to get more of it) by engaging your listener. Good to hear you’re using jingles well on air too. I always remember my early days as a producer always cringing when on air personalities didn’t use the sweepers and jingles in the correct way! We appreciate you listening Richard. Thoroughly enjoyed listening to this podcast and to agree with your point Mike, date is October 10th 2013, so next weeks podcast is totally different to the one you were discussing. I am relatively new to broadcasting and this has shown me some of the things I am doing wrong but more importantly how to correct them and make what I am producing more listener friendly and how to make it flow better.